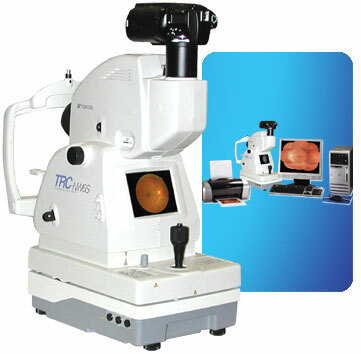 The TRC-NW8 Digital Imaging Package combines IMAGEnet® R4, the recognized standard in fundus imaging telemedicine software, with the Topcon TRC-NW8 automated non-mydriatic retinal camera to provide an easy to use telemedicine color fundus screening package. 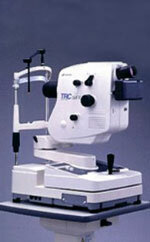 TRC-NW8 Non-Mydriatic Fundus Camera with Auto Focus, Auto Shoot and Auto Small Pupil Detection. 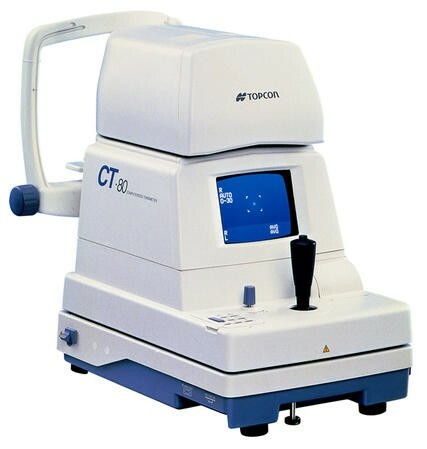 The Topcon CT-80 Computerized Tonometer features a 30% faster measurement time, a triple patient safety function, and a dual sensor measuring system. 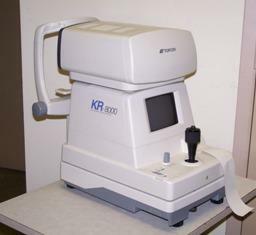 green light reading beam that enhances measurement precision and a new UV transmittance measurement function. 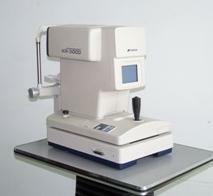 compensates photographic illumination as the field size is changed. This camera can be upgraded to a complete digital backend. 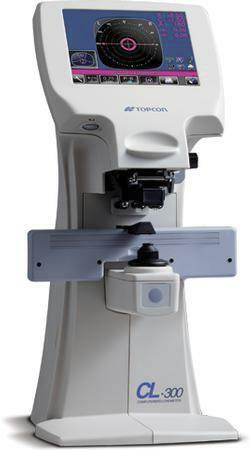 for the patient in one fast, simple operation with the Topcon KR3000. 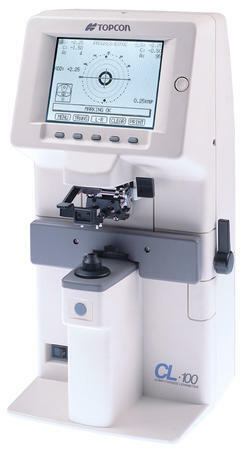 modes: refraction, keratometry or both, fast, simple PD measurement. 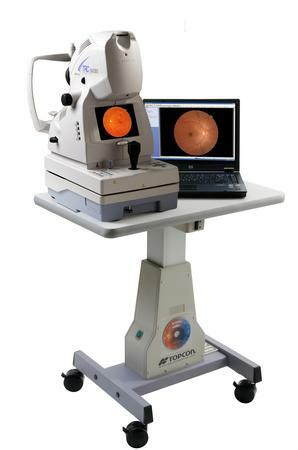 The TRC-NW300 IMAGEnet 8MP Non-Mydriatic Capture System (Telemedicine Capable) is simple and easy to use, making it an ideal tool for the health professional looking for a quick and accurate way to screen and document retinal pathology. 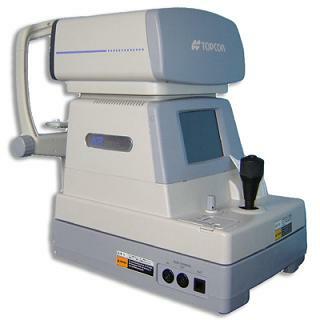 It combines IMAGEnet® R4, the recognized standard in color fundus imaging software, with the new Topcon TRC-NW300 Non-Mydriatic Retinal Camera. Combined with a laptop PC, the TRC-NW300 System affords a portable screening solution. It can also be mated with a Tower PC. new 8.5 inch color touchscreen panel to control the main functions and an improved joystick operation due to a 23% reduction in weight from the previous models. 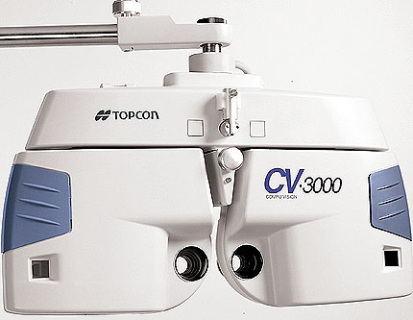 Topcon systems have been renowned for their accuracy due to the proven Rotary Prism Technology. 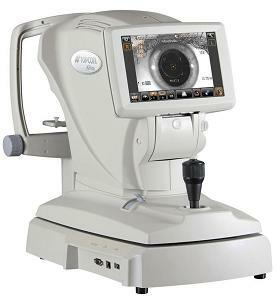 The new RM-800 features this technology as well, so you can take confidence that accurate and stable refractive measurements will be the norm. 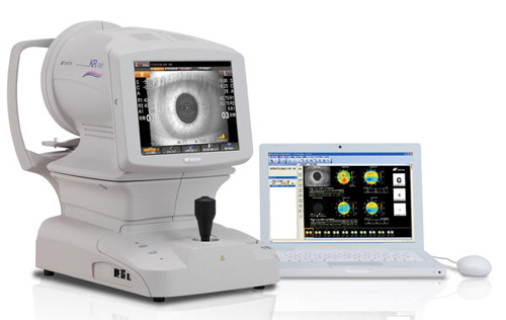 care professional with all the required information on the human refractive system to perform optimal wavefront analysis. 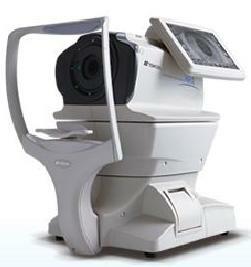 fixation target elimanate discomfort and promote patient compliance. 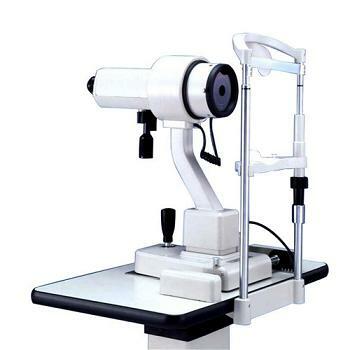 the most sophisticated diagnostic instruments available. 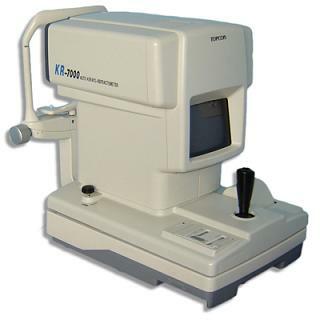 The ALL-NEW CV-3000 Computerized Vision Tester offers the latest features in automated refraction and expands the many features of our complete EXAM-3000 Refraction System. Today's demand for delegating the refraction, electronic data collection, efficiency and ergonomics, continue to generate an incredible interest in this product! The CV-3000 can be mounted on our ALL-NEW EXAM-3000 Delivery Desk or a conventional chair and stand. Find out today how this product can save you time, space and money! 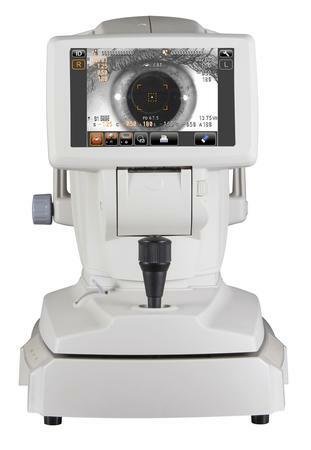 The new TRC-NW6S Non-Mydriatic Retinal Camera is the ideal instrument for the growing market in Telemedicine and Diabetic Screening. The camera features eight peripheral fixation points as well as a built-in standard central fixation point, which provide fixed, reproducible fields for use in various study protocols. 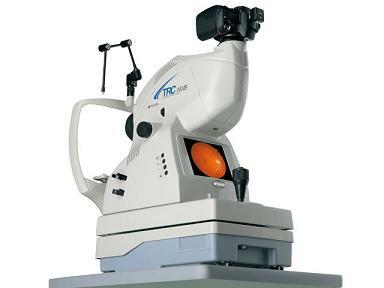 The main optical system in the TRC-NW6S incorporates a dual magnification mechanism to allow for digital video capture of either 45° or 30° fields. To assist in capturing multiple images using todays advanced video technology, the camera incorporates five flash levels to choose from. 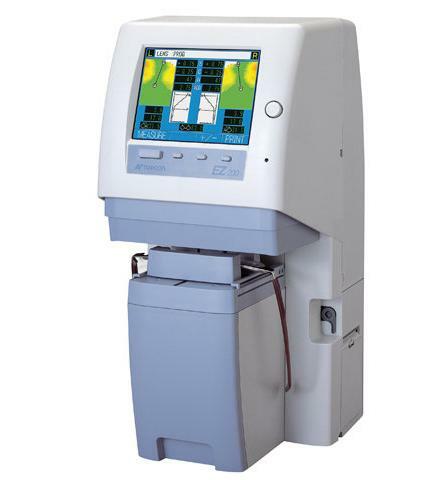 This gives the user greater flexibility for capturing all patient images with the most effective level of illumination for each image. 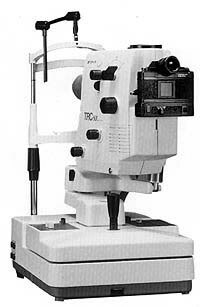 The TRC-NW6S is compatible with the Topcon IMAGEnet MOSAIC 2000 software. Once connected to our IMAGEnet system, the fixed field positions are automatically forwarded to the computer so that a composite image may be quickly created in the computer for printout and / or evaluation.